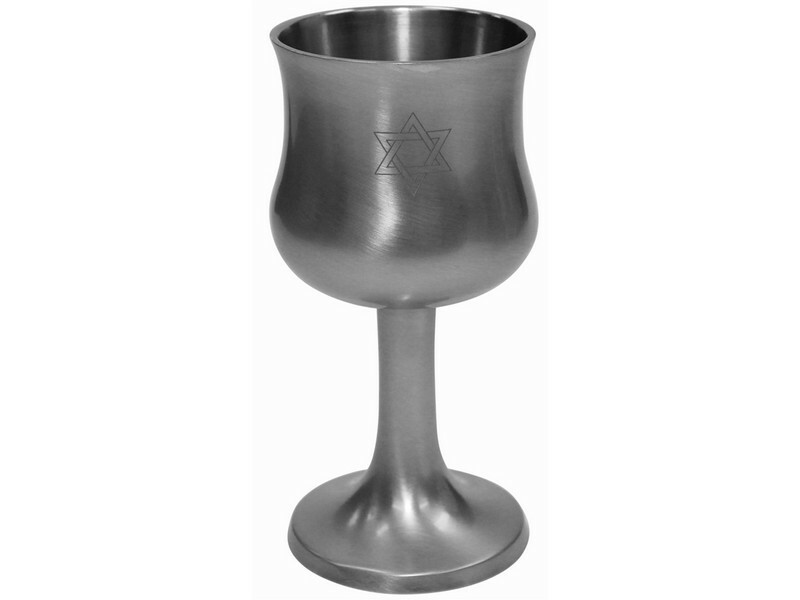 This pewter Kiddush cup will enhance your Kiddush ceremony and Shabbat table. This goblet has a round base and straight shaped leg. A star of David is etched into its traditional shaped cup. This Kiddush cup is a mix of traditional and modern taste and will add beauty to your Shabbat and holiday table.